We all are aware of how coffee helps in weight loss. But not many are familiar with the concept of pure green coffee beans. Everyone has heard of Green tea. And some might be even drinking this regularly as part of their diet. But do you know that green coffee beans also help in weight loss? Yes, the natural and original green coffee has various advantages when it comes to weight loss and health maintenance. We all know how stubborn fat can be. Gaining fat is extremely easy. But when it comes to losing it, one feels like losing himself in the process of shedding those extra pounds. But with the help of pure green coffee beans, you do not have to change your lifestyle much. Just one cup of green coffee can cause dramatic changes. So make it a routine to start having organic green coffee for weight loss. Here we will talk about this drink in detail and touch upon all the pros and cons of this healthy coffee. Green Coffee is an excellent weight loss supplement. And one can easily have that if he has pure green coffee beans with him. Although just like normal coffee, even green coffee also comes in packages, but the coffee beans are the purer form of this. 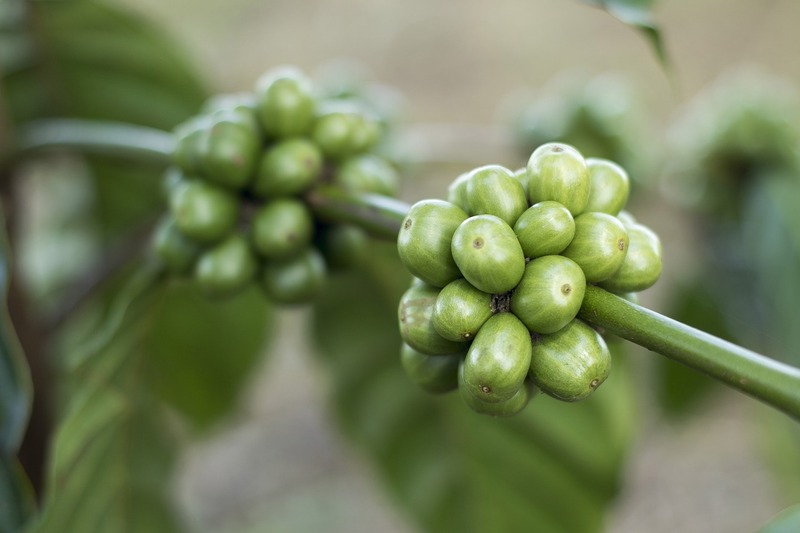 Did you know black coffee also comes from green coffee beans only? Originally, there are green coffee beans only. From this, original green coffee is made. When these green beans are roasted, they turn brown and that leads to the production of brown coffee beans and normal coffee. Both types of coffee are helpful in weight loss. That is an established fact. But how do they differ from each other? Like I said before, green coffee is the original form and black coffee is the roasted form. But they also differ from each other in terms of nutrients. Pure Green Coffee beans are packed with high quantity of antioxidants. Along with this, you will also find pharmacologically active substances, Chlorogenic Acid and Caffeine, in the coffee beans. These compounds are immediately absorbed by the body and act on the supposed mechanism without any requirement of further attention. In green coffee, both the compounds are present in abundance. But in roasted brown coffee, most of the chlorogenic acid is lost, which is the main active ingredient for weight loss. This the only difference between the two. So while you are specially looking for weight loss, original green coffee is a better alternative for you than your regular coffee. 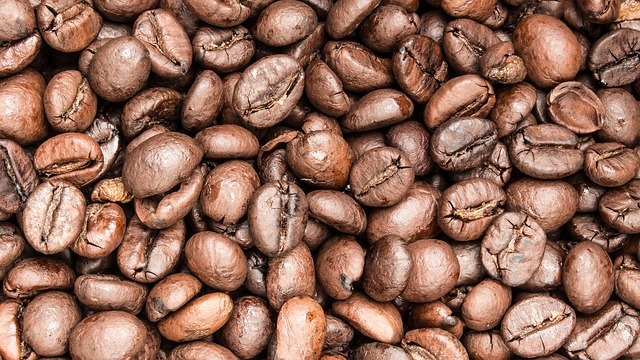 Now let’s start listing why you should consume green coffee more often. Pure Green Coffee beans are the best when it comes to weight loss. And I have several reasons to state that. Caffeine, which is present in both types of coffee, can boost your metabolism by up to 11%. But the primary advantages are those of chlorogenic acid. It reduces the absorption of carbohydrates by the body. It is also a great source of antioxidant for the body. The blood sugar level and insulin spikes are reduced. It also drastically reduces the body weight. Fat from the diet and that stored in liver is reduced, thereby inhibiting weight gain process. It also improves the function of adiponectin, the hormone responsible for fat burning. It also improves the cholesterol level of the body, thereby reducing the risks of heart disease. I am sure you all must be surprised to know the benefits of natural green coffee. Even I was, when I was writing this article. Various studies were conducted using original green coffee and regular brown coffee. And the group which consumed green coffee showed drastic reduction in the weight as compared to the other group. So having looked at these, you can imagine how this original green coffee would help you burn your fat without having to go through rigorous dieting sessions. The positive effects of the pure green coffee beans are also greatly helpful when we talk about diabetes. Since glucose is absorbed less, diabetes patients are greatly benefited from consuming this green coffee. Having so many positive effects on health, this is good for your mental well being as well. Your mental health would greatly improve if your physical health is taken well care of. If you look at the advantages of Green coffee, you would be highly tempted to start consuming it. But is there any side effect to it as well? And how many times a day should you consume? What are the limitations to the product? If you think deep, various questions arise in a person’s mind when it comes to safe consumption of food and drink products. So here I am going to touch upon few of such queries for you. According to the researches conducted, green coffee is counted as one of the healthiest products to consume. It has a good safety profile. But like everything else, there are some minor drawbacks associated with the natural green coffee too. Since it contains caffeine, it can cause you severe problems if you consume this in very high dosages. You can feel anxiety, depression, fast heartbeat, and so on if you consume caffeine in any form, in large amounts. So if you are sensitive to this, you need to be cautious of how frequently you are consuming green coffee. High consumption of chlorogenic acid may also cause you diarrhea. So having looked at advantages and disadvantages both, you need to be careful of how much coffee you are consuming in a day. An ideal dosage would be 1 cup of green coffee twice a day. Or, you can have 1 small cup of green coffee half an hour before each meal. Now a days, there are various green coffee fat burner health supplements available in the market, that losing weight without following a rigorous diet has become extremely easy. And the pure green coffee bean price in India is also very nominal. You can easily find this coffee anywhere in your nearby store, or you can order this online too. Various brands manufacture coffee. Pick your favorite one and start consuming organic green coffee for weight loss.